Welcome to our blog. 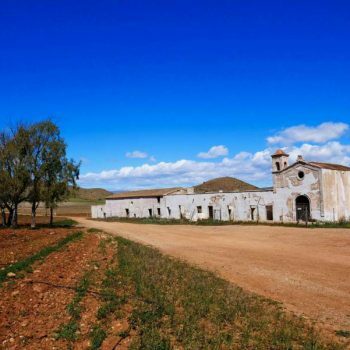 The blog of Cortijo El Sarmiento will be written and maintained mostly by me; I’m Yvonne, taking care of your reservations, as well as being your attendant on-site. Contributions will come from the best husband in the world Carsten, with observations from our security guard Motzi, our not-so-grumpy cat. Visiting us here in our lovely Bed and Breakfast you are also likely to meet Reiner and Marlene, Yvonnes parents who spend their vacations in Mojácar and than end up lending helping hands most of the time. In future you will find articles on Mojacar and it’s surroundings, the entire Province of Almeria, excursions and things to do, beaches, weather, food, climate – you name it. And if there’s anything more specific you would like to know just drop us an email to info@el-sarmiento.com . As long as your question is related to our area we are very sure we can help you or we’ll find it out for you. We have a very deep knowledge about the entire region. We hope you will find the information on this Blog interesting and inspiring and we really hope it will make you want to visit us here at our beautiful B&B in idyllic Mojácar, Almería. Being an innkeeper is big fun and we love meeting new people and besides that, our real desire is to share with you “our” spot in Andalusia. We hope you enjoy reading and if there is a specific topic you would like to read more about, please let us know. We love interaction and will always integrate your wishes and ideas. Beaches near Mojácar – a treat not to miss!